Should You Make a Roth Conversion or Not? If you have a traditional individual retirement account or IRA, you may have considered converting to a Roth IRA. With a conversion, investors are able to move money out of a traditional IRA, pay taxes on the funds at ordinary federal and state rates, and move it into the Roth where it will grow tax-free. You can make future withdrawals from a Roth IRA tax-free as long as you meet certain qualifications. In order for Roth IRA distributions to be made on a tax-free basis, they must be made after a 5-taxable-year period of participation and occur on or after reaching age 59 ½. In the case of a conversion, 5 years must pass since the conversion. A Roth IRA conversion can make a lot of sense for some. On the other hand, there are certain cases when it makes no sense at all. Before you convert to a Roth, ask yourself these questions. Am I Near Retirement and in Need of IRA Income? If you're approaching retirement or and need your IRA money to live on, it's unwise to convert to a Roth. Because you are paying taxes on your funds, converting to a Roth costs money. It takes a certain number of years before the money you pay upfront is justified by the tax savings. If you are taking retirement income, you increase that timeline. To get a sense of whether you are better off converting, a Roth conversion calculator can help. The challenge with relying solely on a Roth IRA conversion calculator is that the assumptions are based on future income tax expectations. It is difficult to predict where income tax rates are headed in the next 1-2 years. Imagine how challenging it can be to predict tax rates 10, 20, or even 30 years from today when you will be taking using your Roth IRA. Be sure to review your current and projected income tax bracket before converting a traditional IRA to a Roth IRA. You can use this Federal Income Tax Table Guide or information from your most recent tax return to determine your marginal tax bracket. Then, complete a budget plan for retirement to estimate your anticipated tax bracket based on your projected retirement income plan. Can I Afford the Taxes? A Roth IRA conversion can be costly because you must pay taxes on your existing IRA. Ideally, the money should not come out of your retirement savings. If you have to use funds from your traditional IRA in order to pay the taxes it will cost you to convert to a Roth, you're better off letting the funds sit tight. One technique to consider is to spread the cost of conversion over a few years. This may also prevent you from pushing yourself into a higher tax bracket. Do I Want to Pay the Taxes? Sometimes making a good financial move can be a difficult thing to do. That’s the feeling that many traditional IRA owners get when considering a Roth IRA conversion. Can you imagine someone has $300,000 in an IRA and right upfront they're giving up $75,000 of that IRA? A Roth IRA conversion may look good on paper but in the real world may be more complicated. You can use charitable contributions to offset the taxes for a Roth conversion. Tax deductions may be an effective strategy to lower the tax cost of a Roth IRA conversion. Of course, you must first have the financial resources and desire to gift to a charitable organization to utilize this strategy. Will I Be in a Lower Tax Bracket in the Future? If you think you will retire in a lower income tax bracket than you are in now, it doesn’t make sense to convert. 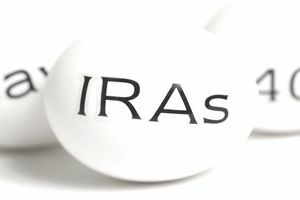 You will pay higher taxes on the conversion than you would if you were to withdraw the money from your traditional IRA at retirement. A Roth IRA conversion can be a good idea for some but not all IRA investors. Consider your potential conversion carefully before making any moves to convert your savings.